The Leicester Tigers Podcast has arrived. Hosted by Tigers front-rower Greg Bateman and Leicester’s social media-managing Australian, known as Bondi, ‘Talking Tigers’ will take Leicester supporters where they have never been before. Bateman, the self-appointed People's Captain, and Bondi will sit down with players and coaches present, past and future, board members, staff, season ticket holders, sponsors and whoever else will give them their time, to learn more about them and their Tigers story. 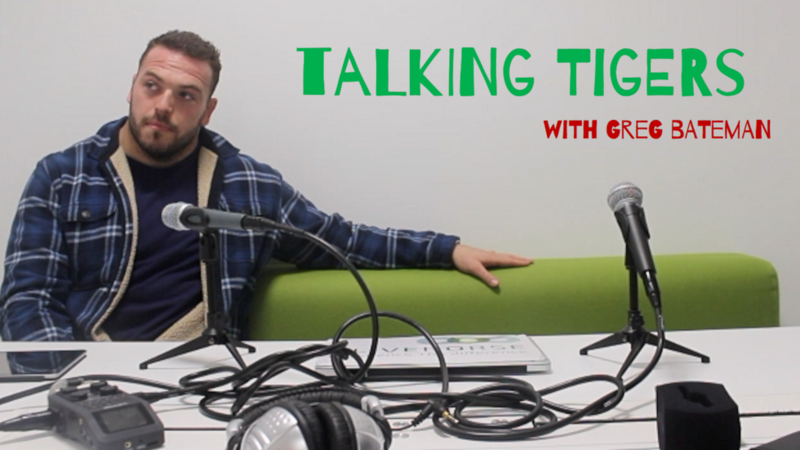 Given that the pair are non-experts on the game itself, despite the fact Bateman has been considered a professional for a decade now, ‘Talking Tigers’ will delve deeper in to the stories and those sharing them for fans to better understand what it is that makes up the #TigersFamily. In Episode 1, the duo have set the bar high as they sit down with prop Dan Cole, who has made more than 200 appearances for Tigers and played more than 80 Tests for England and the British & Irish Lions. Throughout the wide-ranging chat, Cole shares information unknown to many fans who have watched the front-rower for years. Cole discusses his family, including the link to team-mates Ben and Tom Youngs, passions away from the game including American Football and his 'petrol head' title, growing up and his school life, the 2017 Lions tour of New Zealand, whether or not you can swear on podcasts and the sale of the Premiership. The long-serving Tiger also opens up on the difficulties for players when it comes to ever-changing world of corporate influence over sport and shares with listeners what life after rugby looks like for Dan Cole. In a special prelude ahead of Episode 1, Bateman and Bondi share their vision for the podcast with fans and discuss why – at this challenging time in the club’s history – it couldn’t be a better point to open the doors (figuratively) for fans to learn more about the inner workings of their club. Keep an eye out for upcoming episodes, including fascinating chats with players Kyle Eastmond and Joe Ford, World Cup-winning lock turned board member Ben Kay and the club’s commercial director and only female board member, Andrea Pinchen. To listen, whether on the club website or Tigers App, simply click on the play button below.